Community Supported Agriculture (CSA) is an arrangement by which customers and farmers provide mutual support, for the benefit of both. Members buy a share of the harvest before the season begins, and farmers use the early income to order the seeds and supplies they need to get production underway. 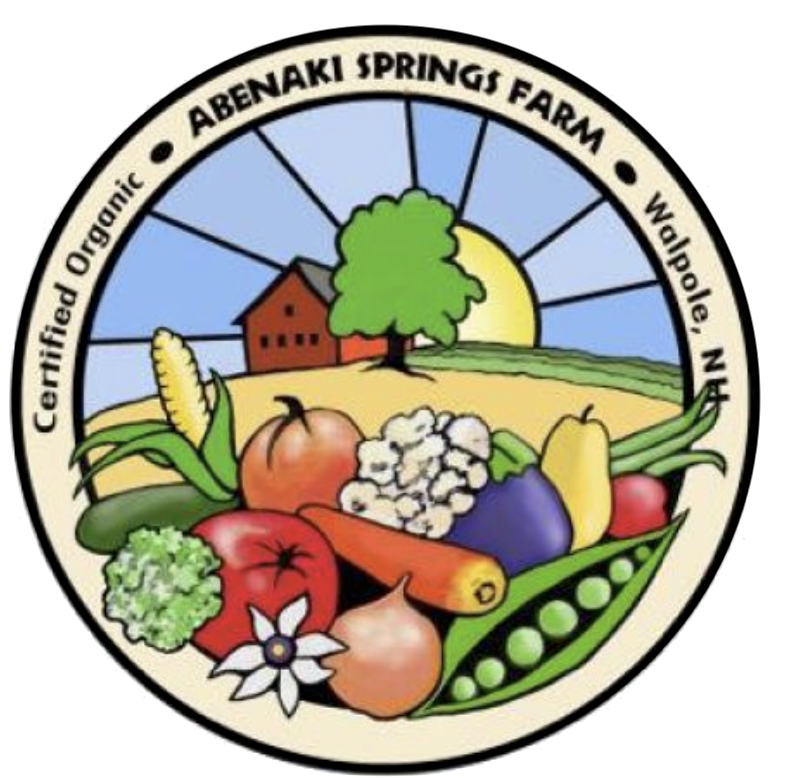 Abenaki Springs Farm’s (ASF’s) CSA program began in 2005, and offers members 6 months of the best and freshest produce on a prepaid basis for approximately $25 a week for a full share. Unlike many CSAs in which customers receive a box of vegetables set aside by the farmer, ASF CSA members choose the produce they prefer from the seasonal selection available and they choose when to pick it up. Vacation schedules and CSA schedules do not conflict, nor do taste preferences. In 2012, AFS trialled a CSA Advantage program in which especially popular crops in limited supply, like asparagus and berries, are set aside for CSA members during the first hour of each Keene market. This program was so popular that it has become a permanent feature of the ASF CSA. The CSA offers a wide range of produce, including strawberries, blueberries, raspberries, asparagus, salad greens and cooking greens, radishes, peas, many varieties of summer and winter squash, cucumbers, herbs, onions, beets, peppers, eggplant, tomatoes, beans, potatoes, carrots, broccoli, cabbage, cauliflower, corn, melons, garlic, and more. Take a look at the list of the produce generally available to see when it is likely to come into season. Early joiners receive more produce for the share price. Receive a discount on produce purchased beyond the share price. Select the produce you want, when you want it and where to pick it up. Know you are helping to preserve a small family farm and productive farm land, contributing to the local economy, and reducing your “food miles” and carbon emissions. Farmers Market of Keene on Tuesdays and Saturdays from 9 am to 1 pm behind Colonial Theatre. The CSA season runs from the beginning of May through the end of October. Members are responsible for using the value of their share by the end of October. Balances do not carry forward beyond October. The CSA balance can be checked at any market or by emailing Elaine (a great friend of the farm). Fee structure for 2016. Full and half shares are available this year. Select $650 worth of produce and then get a 25% discount on all purchases beyond that, until Oct 31st. Select $325 worth of produce and then get a 20% discount on all purchases beyond that, until Oct 31st. Work shares are always available!. It’s hard work, but very rewarding. If you have any questions about the CSA, give a ring at 603-209-7100.